Urban Terror (UrT) is one of the most popular games for Linux platform with hundreds of players playing it everyday. Many players use their own configuration files and scripts to configure game as per their needs and boost FPS (frames per second). 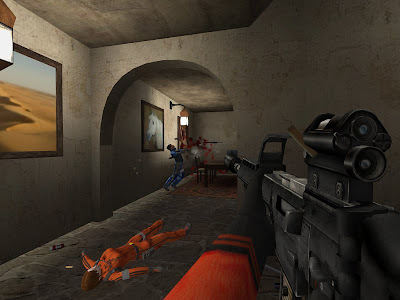 FPS is quite important for online games as it ensures a fast and smooth gameplay and it depends on how good is your system (CPU and Graphic Card) and network connection. With some tweaks to the in-game settings of Urban Terror, FPS can be improved if you are already low on it. However, there is an optimized version of Urban Terror launcher that replaces the executable of urban terror with a latest version of ioq3 engine, optimized and enriched with several new features and fixes. Better FPS with Bumpy renderer that makes use of VBOs (Vertex Buffer Objects) and GLSL (OpenGL Shading Language) , Bump mapping, Bloom, Depth of Field Blur, Fog, Fancy Water, Improved Decal Code, and more. Though the optimized executable increases your FPS, there are some effects to it also. To know more about the bumpy renderer, visit official project page.